In 1871, August Franklin killed a snake, looked down and found some rich looking float. He and his partners followed the rich looking ore on up to its origin and estimated the find at being worth over $1,000 a ton. It wasn't. After they dug down 150 feet and pulled out 100 tons they found the ore to be worth only $28 per ton. 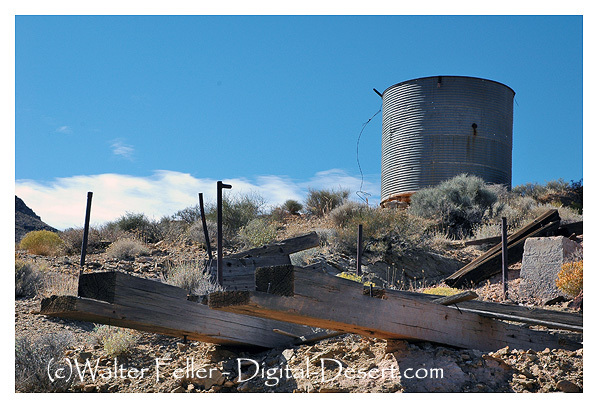 Years later, in 1904, interest in the area was renewed after the discovery of the Keane Wonder Mine, Chloride City was laid out and soon after went bust.